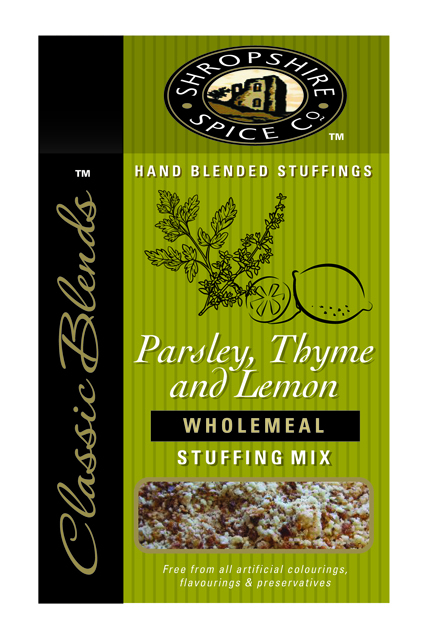 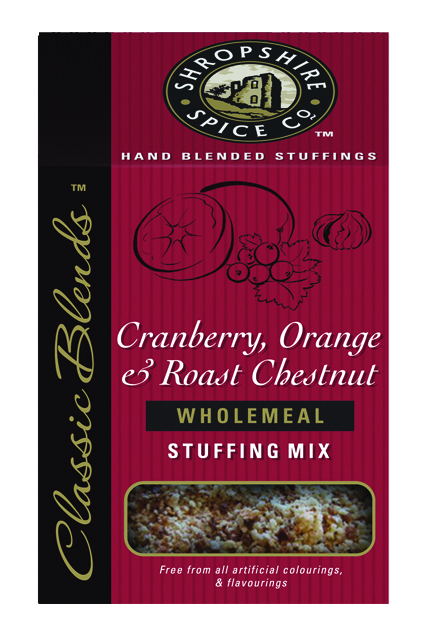 Why not try our delicious wholemeal stuffing range, there are nine different flavours to choose from. Ingredients: Wholemeal Breadcrumb (Whole Wheat Flour, Salt, Yeast), Wholemeal Rusk (Whole Wheat Flour, Salt, Yeast), Whole Cranberries (Glucose Syrup, Sunflower Oil), Candid Orange Peel (Glucose - Fructose Syrup, Salt, Citric Acid, Preservative: Sulphur Dioxide), Roasted Chestnuts, Orange Juice Powder, Roasted Onion Flake, Onion Flake, Yeast Powder, Onion Salt, Rosemary. Plum and Ginger wholemeal stuffing mix is perfect with poultry, pork and game. Ingredients: Wholemeal Breadcrumb (Whole Wheat Flour, Salt, Yeast), Wholemeal Rusk (Whole Wheat Flour, Salt, Yeast), Diced Plum (Prunes, Vegetable Oil, Preservative Potassium Sorbate), Demerara Sugar, Onion Flake, Ground Ginger, Onion Salt. Roasted Chestnut wholemeal stuffing mix is very popular with Chicken, Pork & Game. Sage, Red Pepper & Shallot wholemeal stuffing is popular with all types of meat, poultry, game and fish. Ingredients: Wholemeal Breadcrumb (Whole Wheat Flour, Salt, Yeast), Wholemeal Rusk (Whole Wheat Flour, Salt, Yeast), Red Pepper, Onion Flake, Shallots, Wild Sage, Onion Salt, Demerara Sugar.